The outro scene is the last slide of your video and serves as an ending sequence. 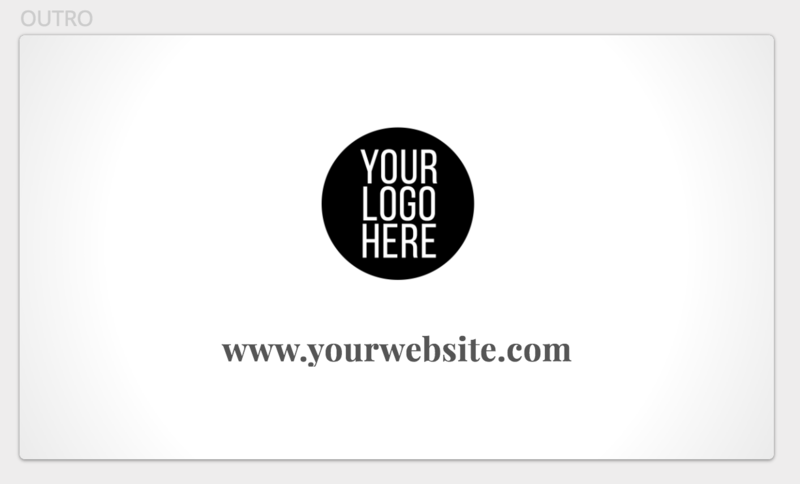 This is where you can display your logo. Scroll down to the very bottom of your slides to find the outro section. 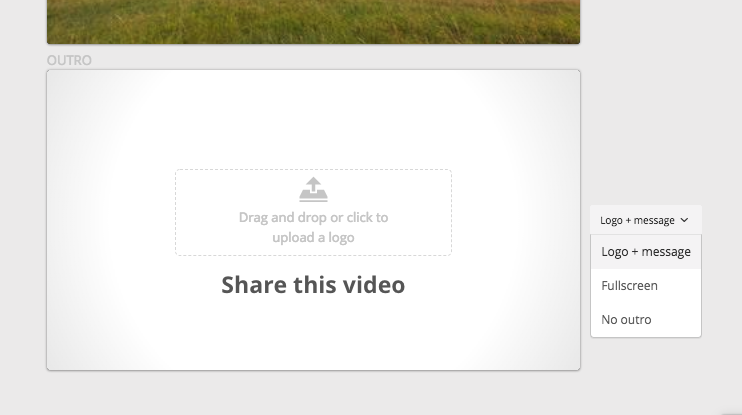 Select the "Logo + message" option, then click on the upload area to upload your own logo. You can also click on the text to write your own call-to-action, you can also turn off the outro, or upload your own custom fullscreen outro.